Whether cotton, linen or silk, plain, patterned or printed, one of these square pieces of cloth has the potential to pull an average tailored look into the A-grade. 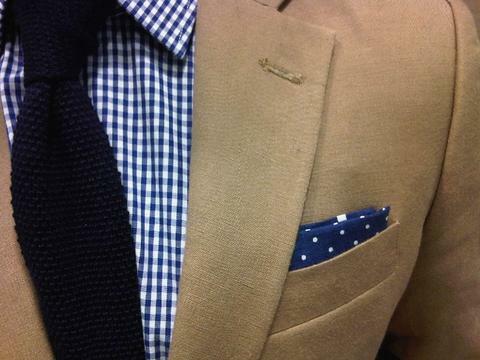 Pocket squares fit every man’s lifestyle. They’re formal enough for a black-tie event but casual enough for happy-hour drinks. It all depends on how you style it. When to wear a Pocket Square? Historically, the pocket square was a necessity for guests attending dinner parties and other formal engagements. 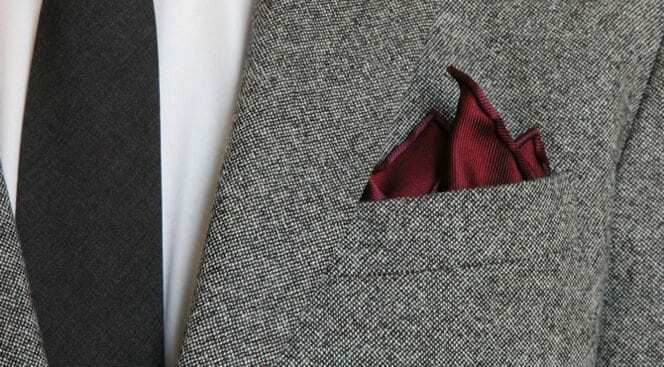 The classic pocket square fashion for smart occasions remains much the same today: a white, handkerchief-style pocket square folded into a flat fold (more on that later). However, even within the sphere of formal attire, there is still scope to experiment with your arrangement and move outside the standard white pocket square rule. We are occasionally asked, is there ever a time not to wear a pocket square? The answer to that is not really. Once you become a regular square wearer you’ll find that not wearing a square is like leaving the house without your shoes. It’s really a case of degrees. If you want to go for a very conservative look choose a pocket square that is only a shade or two lighter than your jacket and go for a flat fold, or something that provides just a little bit of contrast such as a navy square with polka dots. 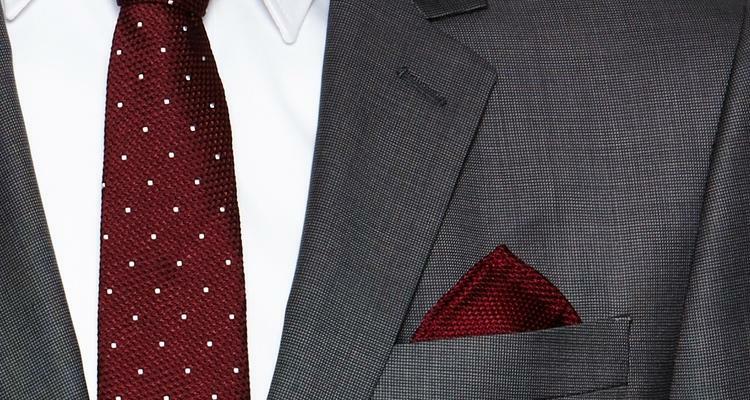 One question we often get asked is around whether you should be matching your tie and pocket square. The short answer is no. Although it might seem like an easy way to coordinate your outfit, matching your pocket square and tie or bow tie is a definite no-no in modern dress. Instead, the purpose of the pocket square is to complement the rest of your look: either by harmonising or contrasting with your other accessories. So although some stores even offer matching tie and pocket square sets, our advice is to steer clear of these if you want to be seen to be on top of your style game. Once you’ve got your plain color bases covered, it’s time to introduce pattern. Prioritise timeless motifs – think paisley, polka dots and checks – in rich jewel tones like burgundy, navy, and bottle green, as well as fail-safe neutrals like white, grey and black. While the color and pattern of your pocket square can say a lot about your fashion sense and color coordination skills you should also know how to fold or not fold your pocket square. 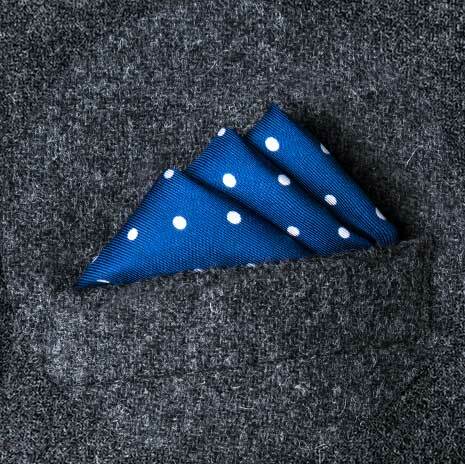 The puff ‘fold’ is the easiest and most casual way to wear a pocket square. All you have to do is lay the pocket square flat out on a table and pinch it up from the center. 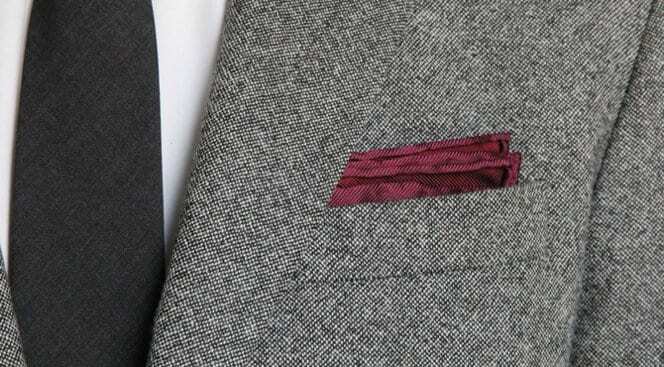 Once you have achieved this gently tuck the corners of the pocket square into your jacket breast pocket. This fold works best with silk pocket squares that are larger, so that they do not disappear in your pocket. 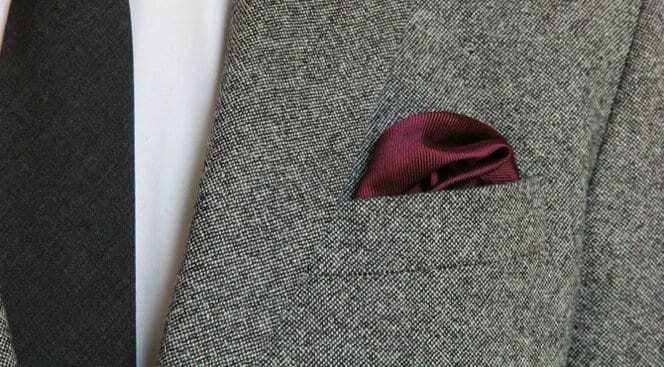 The Edged Puff is a variation of the Pocket Square Puff Fold, where the edges that are tucked into the breast pocket are now fold back up so they are showing behind the ‘puff’. 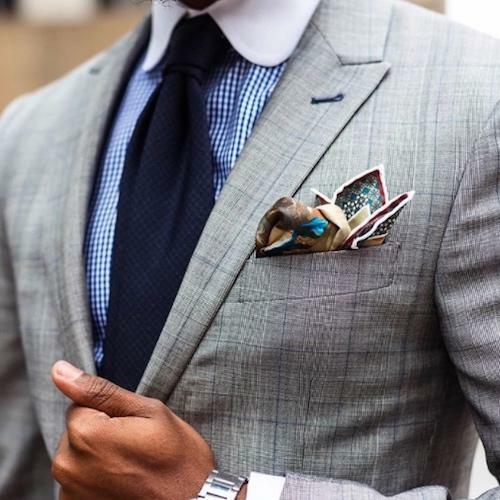 The Edged Puff is one of our favorite ways of wearing a pocket square as it shows color and style with both the puff and the pocket square edges being displayed. The Square Fold works well with linen or cotton pocket squares given that their fabric structure is slightly more rigid than silk, helping to keep the pocket square’s edges in place. Hence, a square fold is ideal for business / formal settings. One of the more complicated folds, this style should be approached when you feel more comfortable wearing pocket squares. Otherwise known as the Crown Fold, this style works well with simplistic silks as well as deeply coloured patterns, adding dimension to your formal looks. This is for when you are really going formal with your pocket square or if you want to really make a statement with it. This fold is also one of the toughest to get right. Silk: A Silk Pocket Square is the perfect addition to your formal wear clothing, as the sheen that comes with silk will give your outfit an injection of flair and vibrance. Just as silk neckties work perfectly with a suit, so do silk pocket squares! Where the silk square lacks is that the edges are not as rigid as cotton or linen. Hence, Silk Pocket Squares generally work best with a puff or edged puff fold. Cotton: Cotton Pocket Squares have more rigidity than their silk counterparts, and so are best used for very formal occasions. The stiff edges allow for more intricate folds that show off the squares corners and edges, which can add a sense of elegance to one’s outfit. Linen: Linen Pocket Squares fall somewhere in between Silk and Cotton. As a result, while their edges have some rigidity, the fabric is also soft enough to be worn with a puff fold. Linen Squares are therefore your most versatile as they can be worn with simple puff folds typically reserved for silk or more intricate folds often used with cotton! There’s also the question of how handkerchiefs are constructed, and the key is in how the edges are sewn: either by machine or by hand. Machine-sewn edges are cheaper because they can be made more quickly and thus less expensively. They comprise many of the pocket squares on the market and often make excellent accessories. Squares with hand-rolled edges are widely considered to be the apex of handkerchief luxury by connoisseurs.